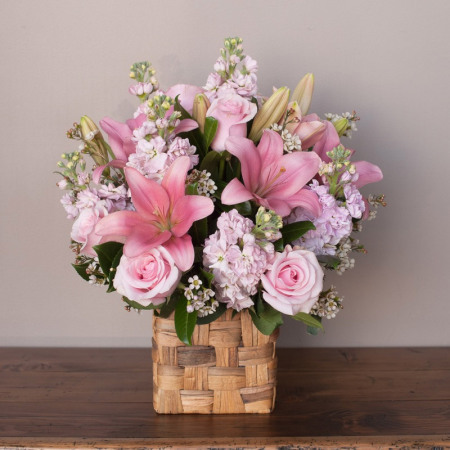 This delightful combination of fresh flowers in soft pink pastel tones is the ideal gift for any moment. Stunningly presented in a natural weaved water hyacinth flower basket; this is sure to make someone feel special. Buy your flowers online www.floristwithflowers.com.au. Sure to impress this basket can either be sent as shown or teamed up with any of lovely gifts chocolates, balloons or a sweet scented Ecoya candle.